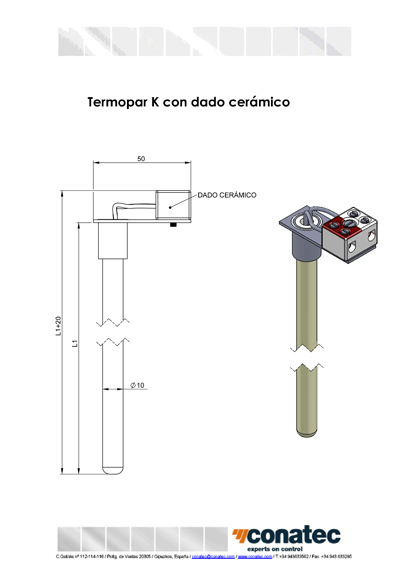 The range of use of K type thermocouples (NiCr-Ni) is between 0ºC and 1,200ºC depending on the construction type to be executed. 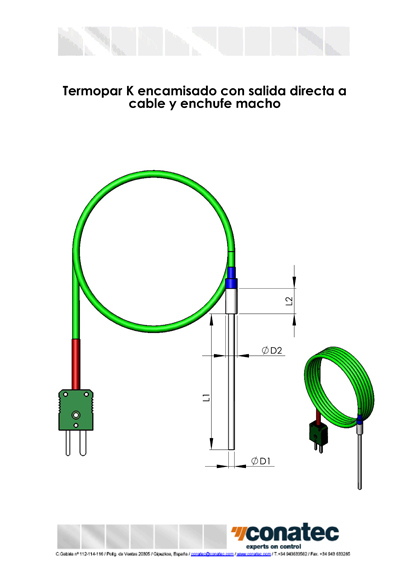 For thermocouples with output to the cable the maximum recommended temperature is 300ºC, being considerably conditioned by the extension cable type used. 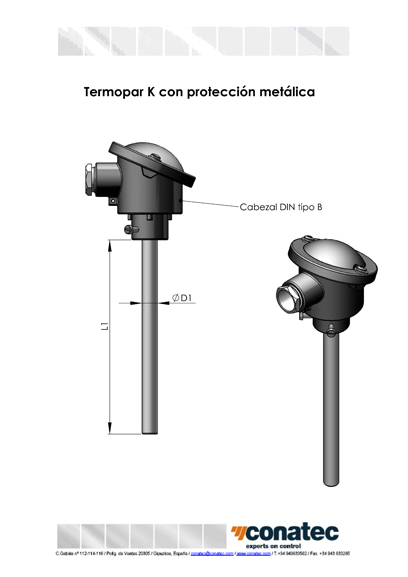 In the case of thermocouples with connection head, the limitation depends on the protection sleeves used, as well as oxidising atmospheres, reducers or by the cast metal types the temperature of which is to be measured. 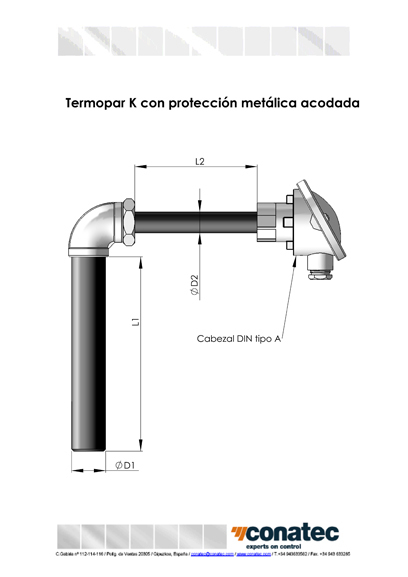 Different types of metal protection sleeves are used whilst the most usual are made of stainless steel, fireproof steel or Inconel 600. 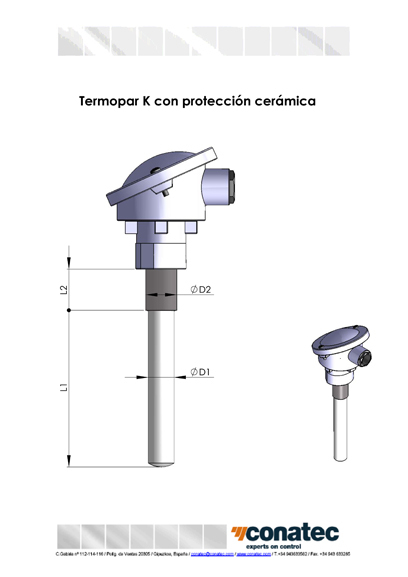 In the cases in which the temperature to be measured is very high, or the environment so requires it, ceramic protection elements are used, usually aluminium with different degrees of purity depending on the application. 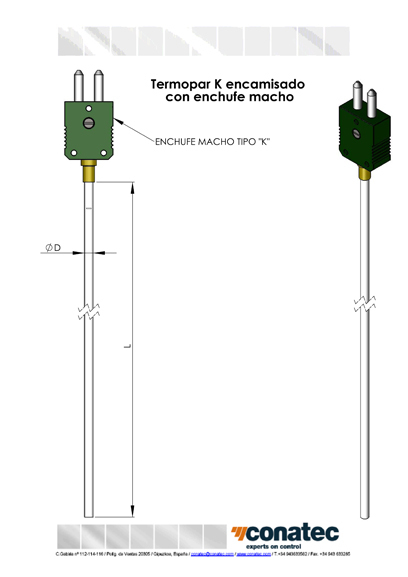 In some constructions jacketed thermocouples must be used, also referred to as mantel thermocouples, where the single or double thermocouple wire is insulated from the exterior metal protection element by pressed magnesium oxide. 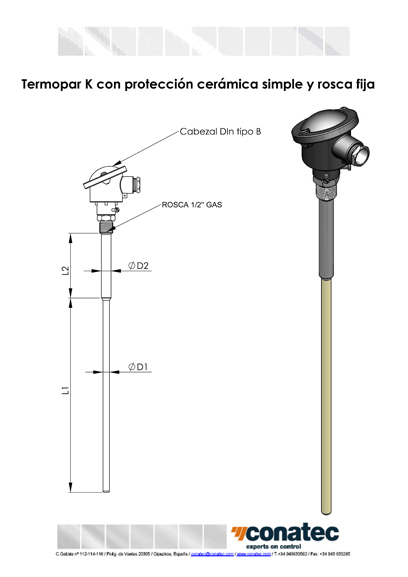 The materials usually used for these protection elements are stainless and fireproof steels.